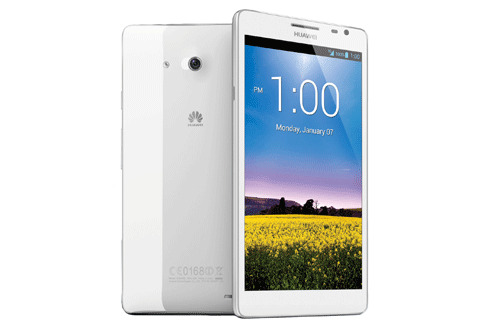 CES 2013: Huawei introduce two new Android smartphones and a new Windows Phone! At long last it's officially official! Here is the Huawei Ascend Mate that we've seen teased by Huawei's chairman and that has been caught on more cameras than we have fingers! Now we finally have some concrete details too. Firstly, there is that huge 6.1-inch 720p HD IPS+ display, a 1.5 GHz Hi-Silicon quad-core processor and a 4050 mAh battery. 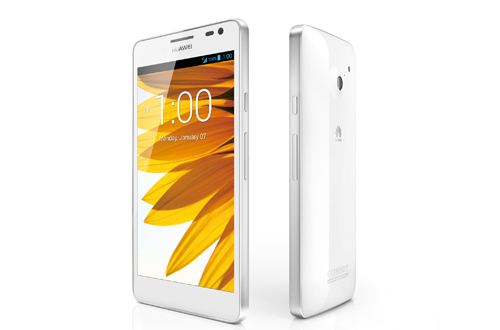 On top of that there's Android 4.1 and an 8.0-megapixel AF rear-facing camera with HDR and 1.0-megapixel HD capable front-facing camera. Huawei has been keen to point out the dual MIC noise reduction technology and the Dolby sound system and stereo recording options on this device too! The device also has a screen to body percentage of 73% something which Huawei is keen to promote as notably higher than their competitors and it's something which should in theory make your experience with the device better! We expect we'll hear pricing when carriers start announcing whether or not they are carrying these phones! The full press release is available here! We've already seen the monster phablet from Huawei, but Huawei knows that not everyone wants the biggest phone going and so to compensate for that here is the Ascend D2. It's a water proof and dust proof device which will more than keep up with the superphones which are coming out this year. First up this is a 5" full 1080p IPS device, which gives this Gorilla Glass coated screen, a resolution of 443 pixels per inch! You'll also get a stellar pair of cameras here too, as the D2 features a 13MP BSI rear-facing camera and we're not sure of the resolution of the front-facing camera at the moment! The D2 has an ample 3000mAh battery, 1.5GHz quad-core processor and for those of you that think the 5-inch display is just a bit too unmanageable then the D2 will also be available in a 4.7-inch option! You can check out the full details here! 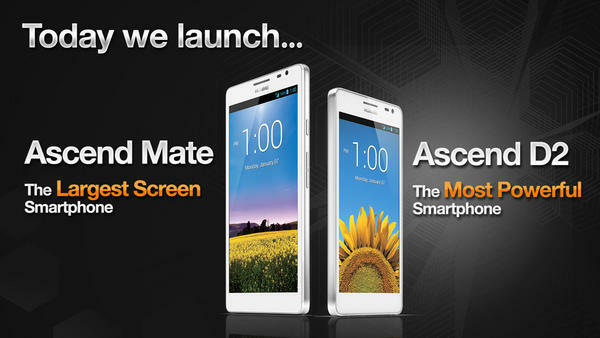 As for availability the Ascend D2 will be hitting China this month and the Ascend Mate will follow in February! 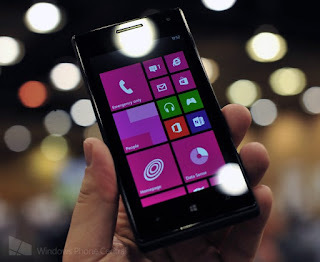 For whatever reason Huawei chose not to give their new Windows Phone 8 powered Ascend W1 the same centre stage treatment they gave their Android pairing. It might have something to do with the fact that this is a decidedly average offering and they didn't want to detract from the high-end offerings. So yesterday evening Huawei pushed out the Ascend W1. It's a 4" device which offers a 4-inch 480 by 800 pixel display, a 5-megapixel rear and 0.3-megapixel front-facing camera all of which is kept chugging along by the 1.2GHz dual-core processor. Huawei have made a good habit of including big batteries in their devices this year and the Ascend W1 is no exception: it's packing a 1,950mAh battery! To round out the rest of the specs there's 512MB of RAM and 4GB of internal storage, thankfully there's also a MicroSD card slot because that will probably need expanding! If this one doesn't tickle your fancy then Huawei mentioned to CNet that they have a Windows Phone 8 device on the way which will be comparable in size and performance to the 6.1" Ascend Mate! We're looking forward to seeing that one! If you want to see the Huawei Ascend W1 in action then WPCentral's hands-on is embedded below!